Today, most of the people have smaller houses, owing to the growing property prices and low spaces in crowded cities. As a matter of fact a small house is a blessing in disguise, provided you design it effectively. A small house can be as comfortable as a big one, and can save you a lot of overhead in terms of cost and time of maintenance. 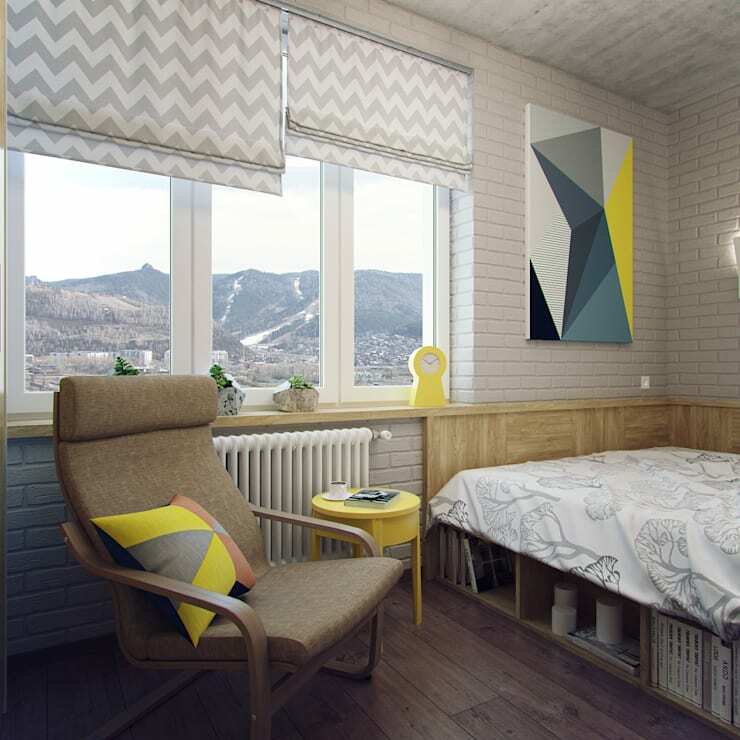 Homify has been consistently introducing a variety of ideas for small houses. 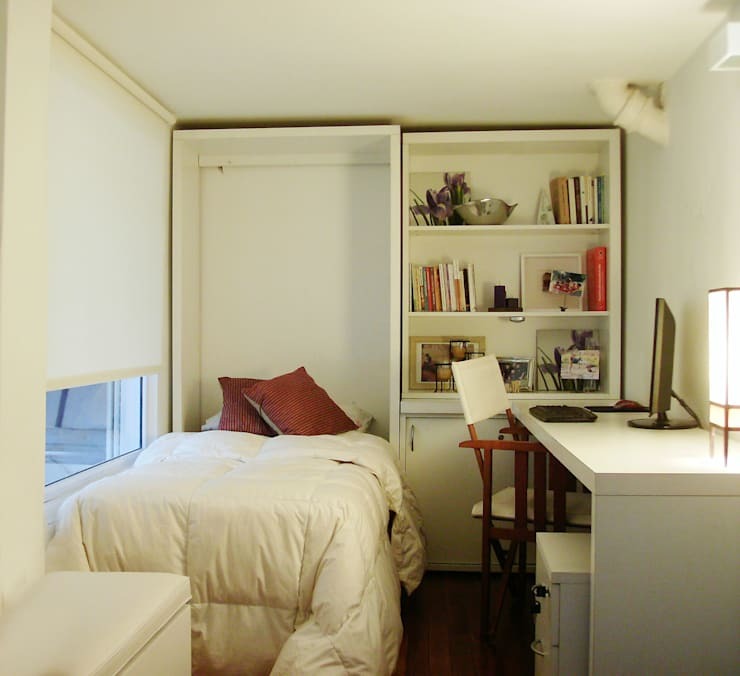 In today's article, we have 10 ideas to utilize the space effectively in a small bedroom. 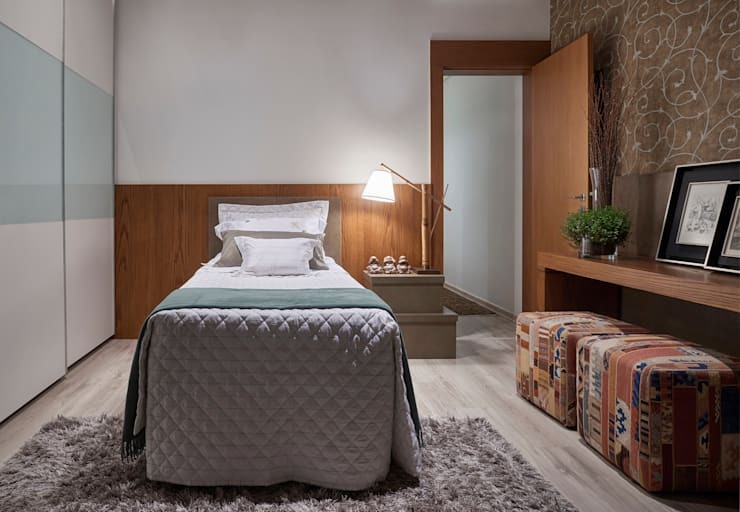 The bedroom, which is one of the most personal spaces in the house, should be treated with a lot of attention in order to create it a comfortable space for a good night sleep and a relaxed morning! If there is one thing that is a must for a small room to look spacious, it is white. Light colors reflect light, and make any space look brighter. White makes a room look more clean, serene, bright and soft, and creates an illusion of more space. Any color in upholstery complements well with white, and you can have a completely new look to your room just by changing the rugs and cushions when you have white walls. See the magic of white in this white and modern fairy tale apartment. When you have a small room, it becomes a necessity to utilize every inch of space that is available, in the most compact manner. Like you can see in this picture, the space for keeping a study table has been saved, and a study table has been created in the wardrobe space on the wall. The space above the table has been designed to be utilized for storage and the chair is just big enough to fit inside the leg space when not in use. Here are some ideas of built in niches for your walls to make a difference. We all know the impact of light on each and everything, especially on the interiors of the homes. Lighting can make or break the entire ambiance of a home. The size and type of lights can perk up the atmosphere of the bedroom to a great extent. Both direct and indirect lighting work wonders in bedroom. While direct lighting highlights certain points in the room, indirect lighting is dispersed gently. Indirect lighting will be the protagonist in terms of creating a soft and cozy bedroom, just like in this picture. 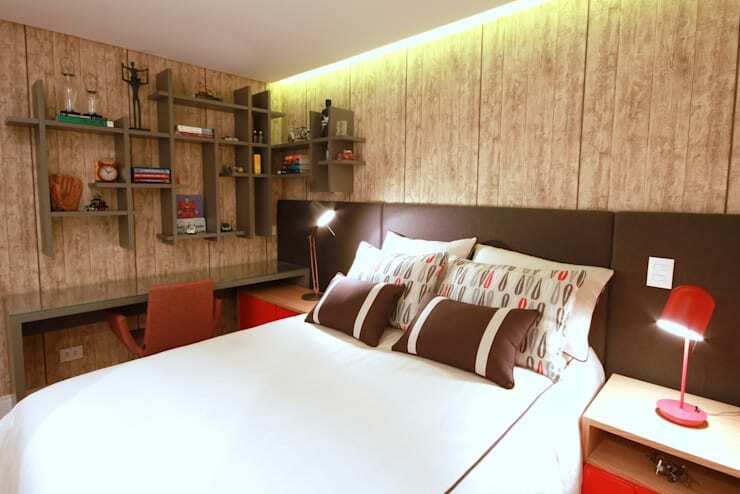 See for another example of indirect lighting in bedroom that will drench your senses. No matter how great the lighting is, artificial lighting can never compare with natural light. It is a great feeling to wake up with the soft rays of warm morning sun, and if you want to get that, plan your bedroom in the brightest room in your house. You can install additional blinds or see-through curtains to adjust the amount of light, as per your desire, and have a fresh a bright bedroom to light up your mornings. See how natural light creates magic in the simplest and smallest bedroom. 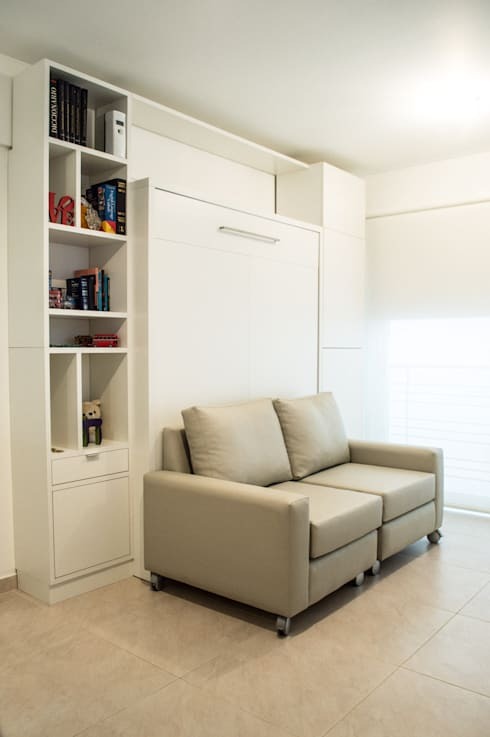 Multi-functional furniture that solves various purposes at the same time is an item that brings the utilization rate of a limited space to the maximum. Here the narrow study table extends to the bed doubling as a head rest saves space, as the width was compensated for the length and the length was adjusted along with the bed. the space inside used as storage. Give a good thought to the layout and space, and identify the hidden spaces that might be utilized. There are hidden spaces near the wall breaks, or columns, which can easily be used to create shelves for storage. 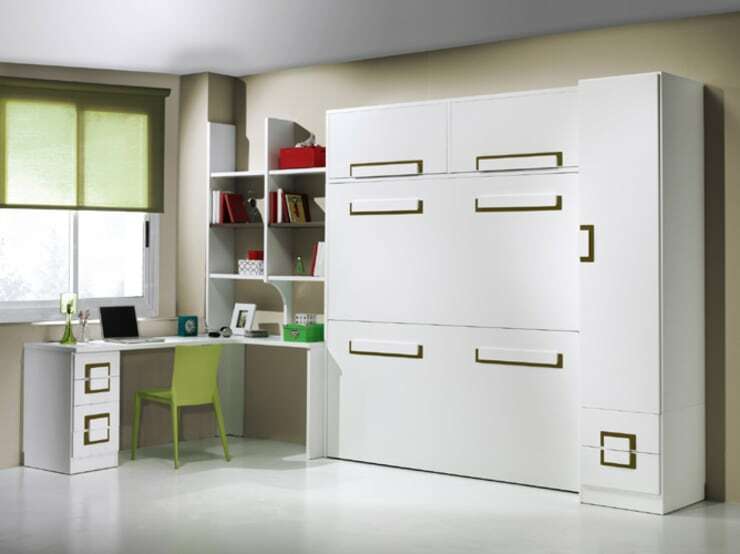 In this picture the space beside the bed and closet has been used as a study, giving sliding door to the cabinet. the area above the study is fixed with a mirror to create a dressing table that does not need any extra space. A big mirror is the easiest thing to make a small space look wider. 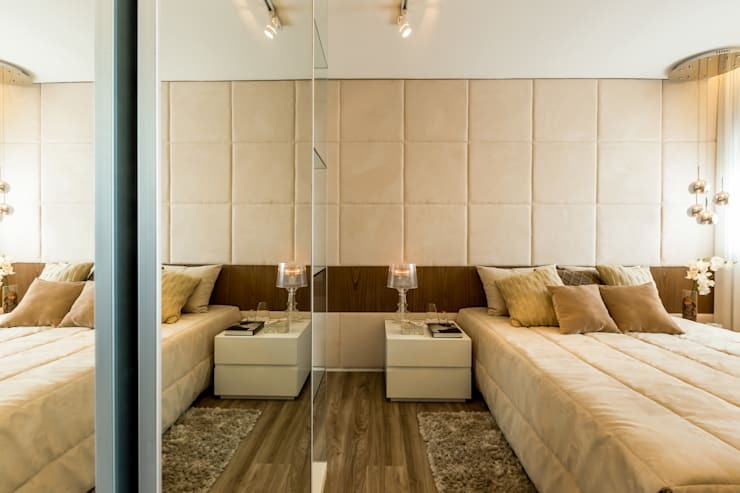 You could have a mirror on the cabinet door and you can create an illusion of a room with double the size. 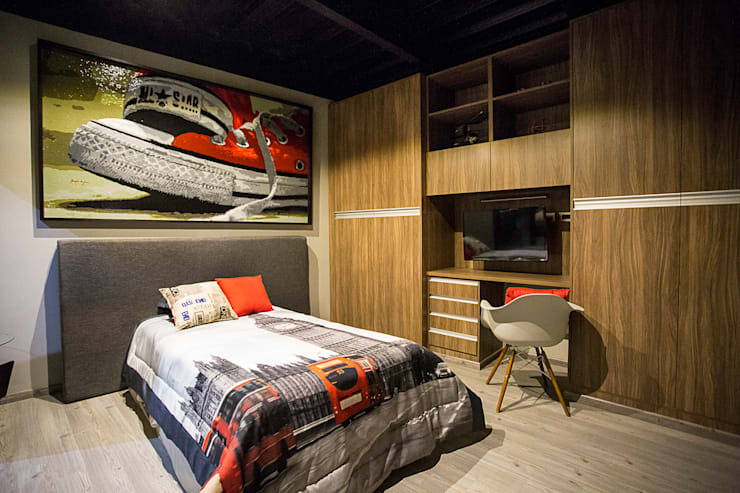 The small bedroom in the picture was designed with a built-in cabinet on the entire wall facing the bed. A mirror door was added to create a visual expansion of the space. If it were not a mirror door but a general built-in door, the bedroom would have seemed very cramped. As such, if you need to install a built-in cabinet in a small bedroom anyway, it's a good idea to put a mirror on the door and save space for the dressing table. If you are not a fan of white interiors, you can always go in for other light and subtle color options like beige, ivory or peach and still have the soft illusion of space. You could use mirrors to create space illusion, and maintain the scheme of the color, avoiding a lot of contrast with bright colors. A good idea is to maintain a 70% background color, a 25% theme color, and a 5% bright color for creating highlights. A new concept in terms of fold-able furniture, especially useful in studio apartments, is the wall bed. 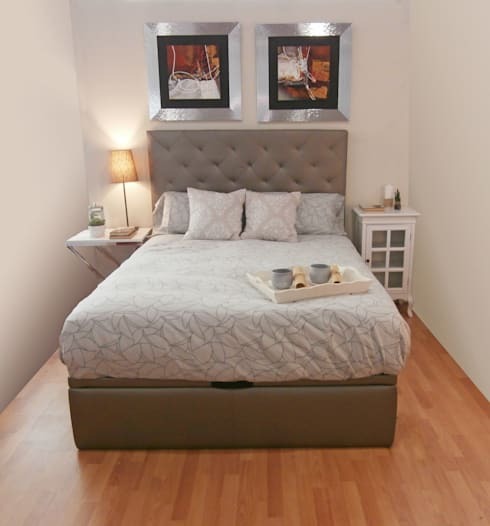 The biggest advantage of a wall bed is that it can be placed on the wall when not in use, having the rest of the room to yourself free of any furniture. 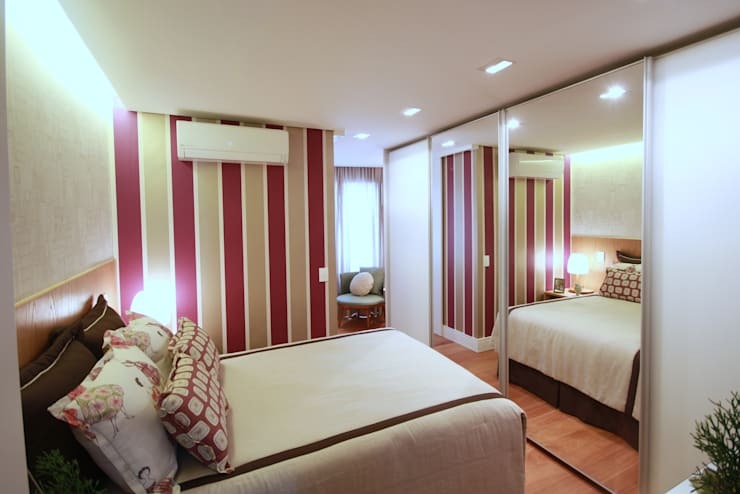 It is not hard to imagine how constrained the space would be if there was always a bed in this small bedroom in the picture. Fortunately, this bedroom was able to keep the bed on the wall all day to have an open study area. If there is one thing that you should not compromise on, its a comfortable bed. Have a good supportive mattress that suits your back. Remember the look of the room is never as important as a good night's sleep. So even if the space is less, there is just no compromise with the size of the bed, ever! A bed on the wall with storage on the sides makes this room a bedroom in the night, and a living room in the day. What a great utilization of space for a small house that serves every purpose and is still comfortable by all means. Here are 10 easy moves to add a touch of magic to your bedroom. Loving your small bedroom already? Do let us know what ideas you liked the most!